The Rio Grande Rodeo is Louisiana's premier fly fishing tournament. 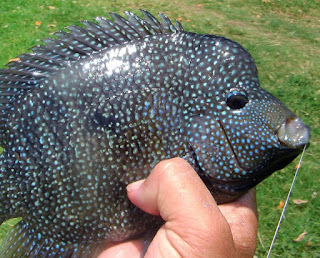 Hosted by the New Orleans Fly Fishers, the target species is the Rio Grande Cichlid. Considered an invasive species by Louisiana Department of Wildlife and Fisheries, it's actually native to south Texas - the only American cichlid. However it wasn't found in Louisiana waters until pet store (and aquarium) owners began dumping the species into the maze of waterways in Orleans and Jefferson Parishes. After the massive flooding of Hurricane Katrina, rios expanded their presence in the two parishes. 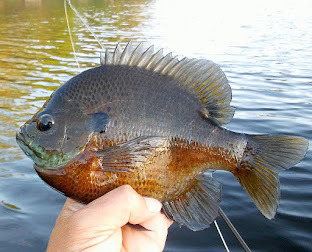 Despite concerns by LDWF, rios have not displaced sunfish species as once feared. Over many decades, they've not exhibited displacement in Texas waters, so why here? In fact, their numbers have been kept in check by cold winters. And the fact that largemouth bass find them to be easy, delicious meals. Fly anglers have fallen in love with rios! They love to eat flies, especially wets and popping bugs. And once hooked, it's like fighting a wet cat! On light tackle - 2 thru 4 weight rods - rios can be as much fun as the law allows. 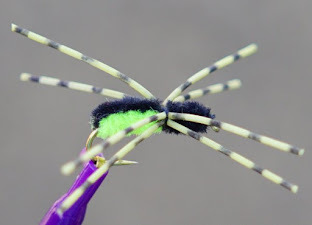 Nine years ago the New Orleans Fly Fishers organized a tournament for this species. It's been a hit ever since averaging between 30 and 50 participants. This Saturday that tradition continues. The event is open to the public. Onsite registration begins at 7:00am Saturday. 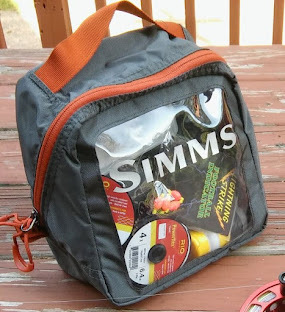 All entry fish must be caught on fly tackle using artificial flies. This year, fishing is expanded to all public waters in Orleans and Jefferson parishes. Lunch and refreshments will be available for participants at the weigh-in. The registration and weigh-in will be at the intersection of Henry Thomas Drive and Palm Drive. For complete rules and maps of legal fishing areas, go to www.neworleansflyfishers.com.